If your child’s cerebral palsy was caused by medical negligence, then an experienced cerebral palsy lawyer may be able to help your family by helping you to obtain answers to your questions and financial compensation to help you deal with the complications arising from your child’s cerebral palsy. Having a child with cerebral palsy can cause severe emotional distress for parents. If parents lack the financial means to provide their child with the support and resources the child needs, the entire family may be under an incredible amount of stress. 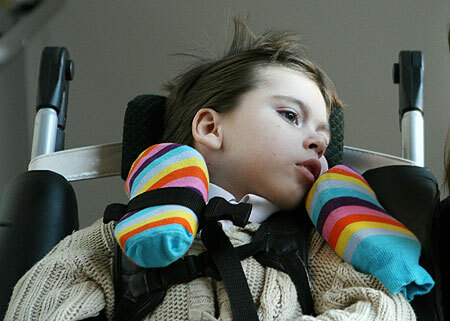 A child with cerebral palsy may require ongoing treatment such as physiotherapy or speech therapy, specialized equipment such as motorized wheelchairs or lifts, specially designed housing that can accommodate the needs of the particular child, ongoing personal care and financial support if the child is unable to work later in life. Cerebral palsy can vary in severity. A child with a very mild case of cerebral palsy may demonstrate minor problems with muscle coordination as a child and may grow up to show no symptoms as an adult. A child with very severe cerebral palsy may be unable to move or communicate for his entire life, may require medical assistance to eat and breathe, and may experience constant pain. The amount of financial compensation that your lawyer can obtain for your family will depend on the severity of your child’s cerebral palsy and on your child’s particular needs. In Canada, infants injured at birth by medical malpractice resulting in severe cerebral palsy have been awarded up to several million dollars. These high financial awards are intended to provide care for children who will require constant care throughout their lives and will never be capable of working or living independently. Whether or not your child’s cerebral palsy is at the most severe end of the spectrum, your family may be facing expenses that it cannot easily afford. As a parent you want your child to have the best of everything. Your lawyer can ensure that you receive the compensation that you need so that your child is able to access the best therapies, mobility aides and care available in your area. While no financial compensation will undo the pain and physical challenges that your child will face, it can ensure that your child will develop to his or her full potential. Contact an experienced cerebral palsy lawyer to find out what your lawyer can do to help your family.